St. Philip’s ECC offers a high quality preschool for children in the area. We are proud of our low child-to-teacher ratio and the safe, nurturing environment we provide. Our program is teacher directed, yet provides many opportunities for children to make their own choices and have fun while learning at school. 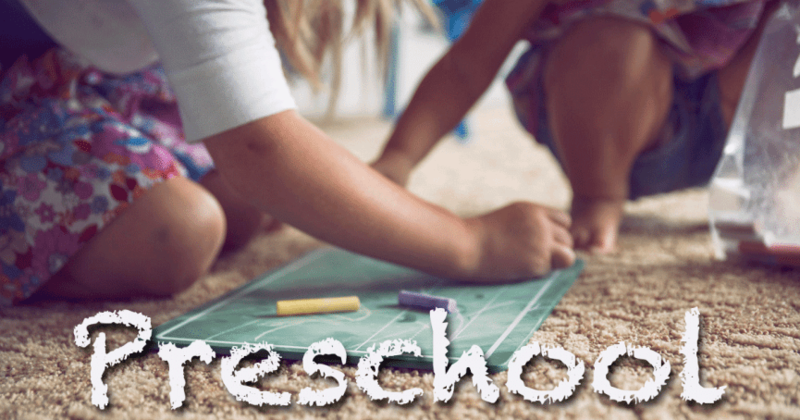 We view preschool as a kindergarten readiness program where we provide opportunities in social/emotional, cognitive, language, physical, and spiritual developmental growth in a non-threatening atmosphere. Our curriculum is based on Missouri standards. The curriculum is presented monthly with lesson plans and taught in a variety of ways. Skills include cognitive, motor, creative arts, language, social/emotional, science, and bible time. The teacher/student ratio is 1:8 for both classes. Our preschool teachers are Missouri State certified with degrees in Education and with years of experience in teaching. Mrs. Julie has been with St. Philip’s for more than 4 years. We offer classes for children who turn 3 or 4 years old before August 1st. Class days and times are: Tuesdays and Thursdays 9:00 a.m. — 11:30 a.m.
Class days and times are: Mondays, Wednesdays, and Fridays 9:00 a.m. — 11:30 a.m.